Can you feel it, Yehezkel? Your bones grinding to dust, your mind withering away, your soul trembling in terror? Savor this moment. It means you can feel. SCP-4947-B2, sitting at point SCP-4947-A1. Special Containment Procedures: Due to a lack of information on SCP-4947's physiology, as well the nature of its anomaly, it remains uncontained. Efforts should focus on researching methods with which to capture and permanently secure SCP-4947. SCP-4947's location is tracked through remotely-monitored seismographic readings taken along SCP-4947-A, with an accuracy of 52%. For ease of containment, several points located in SCP-4947-A have been marked as either strategically or geographically significant. Designated SCP-4947-A Leaf Points1 around SCP-4947's projected location are to be filled with plain concrete2. Mobile Task Force Psi-16 ("Martyrs") is to watch for and attempt to study and subdue SCP-4947 during this time. Personnel are encouraged not to spend more than 1 week within a kilometer of SCP-4947-A, and are to otherwise reside within designated SCP-4947-B outposts. Foundation holding companies are to perform land grabs of SCP-4947-A affected areas. Structures built within 3 km of SCP-4947-A are to be condemned and demolished. Foundation webcrawlers are to monitor reports of sudden sinkhole activity around SCP-4947-A, with a focus on designated Leaf Points and recent SCP-4947 sightings. Several instances of SCP-4947-B have been converted into outposts by the Foundation. All strategically extraneous instances of SCP-4947-B are to be destroyed. Foundation webcrawler ƟU-947 currently monitors social media for possible instances of SCP-4947-B, which are to be investigated by Mobile Task Force Theta-36 ("Swedish Rhapsody"). Care for victims of SCP-4947's anomalous effects consists of standard fistula care plans. In extreme cases, the Ethics Committee has approved the use of euthanasia on willing subjects. Following Dr. Rivka Yarkoni's retirement, Researcher Yehezkel Yarkoni has been assigned head researcher in her stead. ƟU-1875 is to monitor SCP-4947's documentation for errors. Description: SCP-4947 is supposedly an annelid entity, possibly native to Finland3. [DATA LOST] SCP-4947 spends much of its time underground, emerging rarely for unclear reasons. SCP-4947 does not appear to require sustenance or sleep. Actual physical descriptions of SCP-4947 vary between sightings. SCP-4947 has been described as anywhere between .3m and 7m in diameter, with either segmented chelicerae, an anterior sucker, or a canine muzzle. SCP-4947's approximate length is unknown. It is unknown if SCP-4947 is sapient, or even an entirely unique entity. SCP-4947-A designates a series of faults, approximately ███ kilometers2 in area, located on the border between Finland and Russia4. SCP-4947-A is maintained primarily by collapses resulting from SCP-4947's constant burrowing, and does not correspond to any naturally-occurring fault zone. The majority of faults form lines between instances of SCP-4947-B. SCP-4947-A's expansion appears to be deliberate on SCP-4947's part, rather than being a consequence of its tunneling. SCP-4947-A's primary anomalous effect is the creation of holes in the surrounding area. 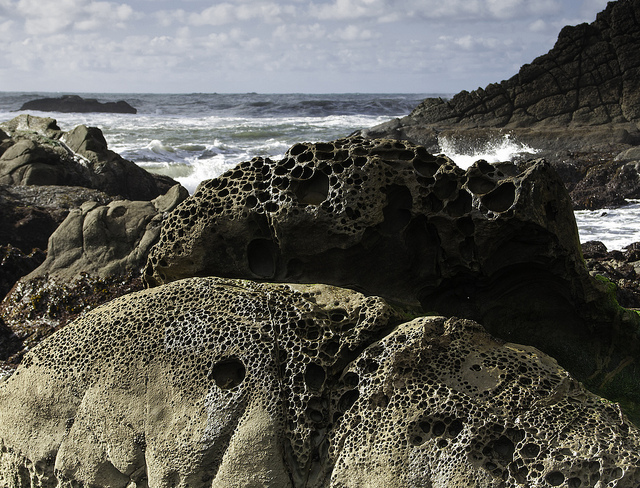 With the exception of SCP-4947-B, landscapes and objects around SCP-4947-A will develop gradually expanding holes on their surface. Notably, this extends to living organisms; long term habitation near SCP-4947-A has been known to induce fistula development. Hinged doors within SCP-4947-B connect to at least one other hinged door in another instance of SCP-4947-B6. Connections have remained consistent between exploration; however, the majority of doors in SCP-4947-B will not exit into the same place one enters from. ADDENDUM [4947-A]: SCP-4947 is a powerful a[DATA LOST]es are to be reported to Researcher Yarkoni as soon as possible. 1. Defined as any point resting on the perimeter of SCP-4947-A. 2. 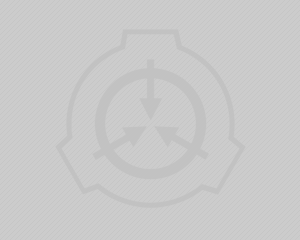 As of 19/10/2024, the Foundation lacks the resources to fill the entirety of SCP-4947-A in a quick and efficient manner without personnel and equipment succumbing to SCP-4947-A's anomalous effects. 3. SCP-4947's exact location changes frequently; however, it will never move outside of SCP-4947-A, (contained primarily in Finland and, as of ██/██/2004, Northwestern Russia) except to move towards instances of SCP-4947-B. 5. ƟU-1875 estimates that this statement represents a database consistency error to a certainty of 5%. Justification: Several instances of SCP-4947-B are decayed beyond expected nonanomalous circumstances. 6. Exploration Log 4947-B-II suggests that windows may present a similar, if less consistent anomaly. To date, this phenomenon has only been recorded once.